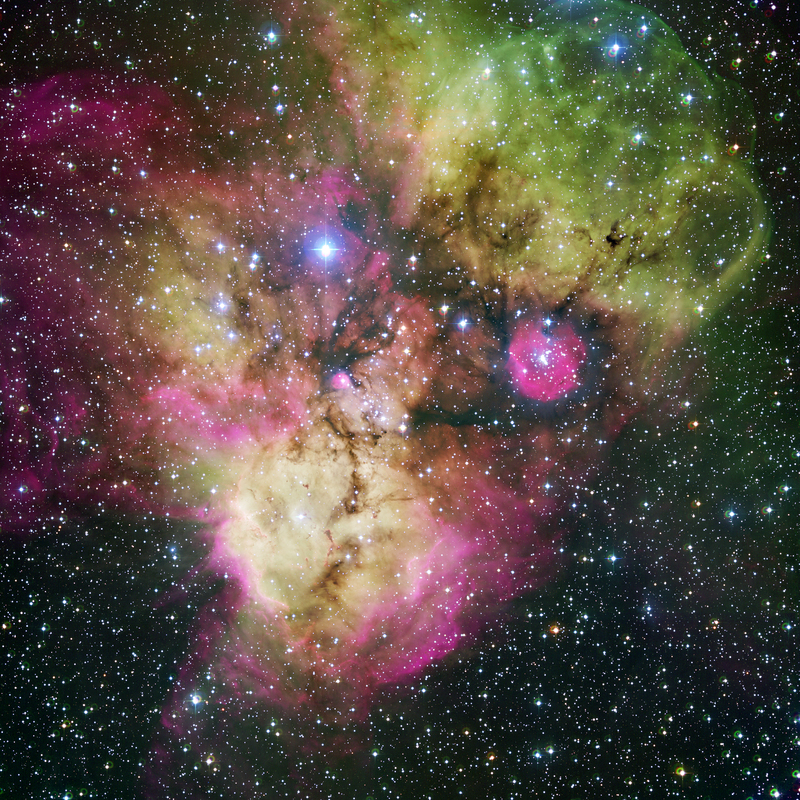 Area surrounding the stellar cluster NGC 2467, located in the southern constellation of Puppis ("The Stern"). 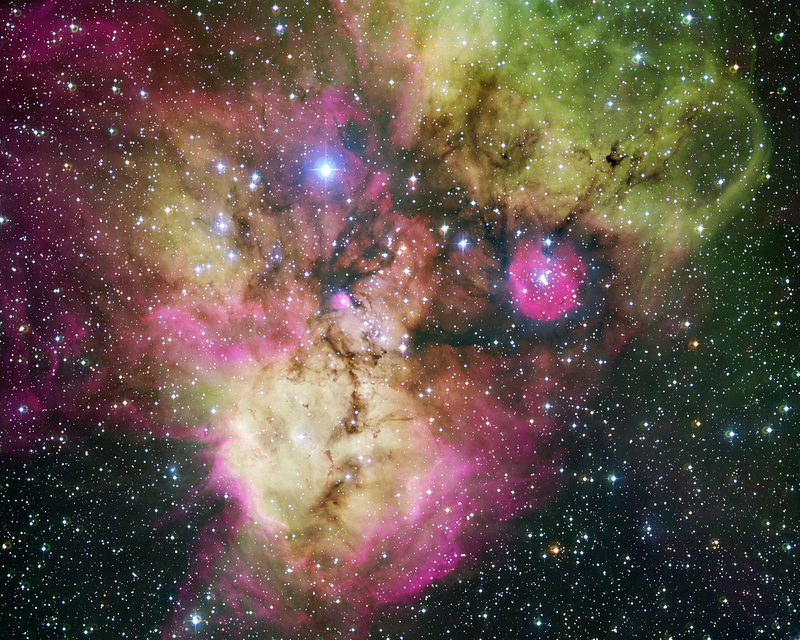 With an age of a few million years at most, it is a very active stellar nursery, where new stars are born continuously from large clouds of dust and gas. 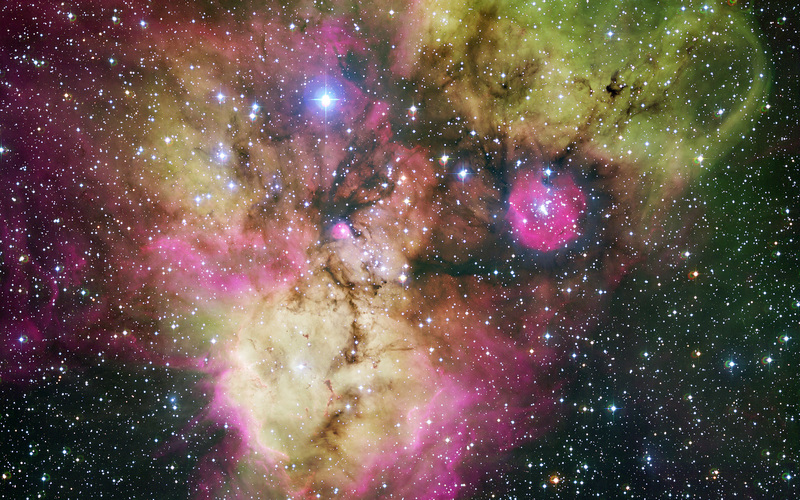 The image, looking like a colourful cosmic ghost or a gigantic celestial Mandrill, contains the open clusters Haffner 18 (centre) and Haffner 19 (middle right: it is located inside the smaller pink region — the lower eye of the Mandrill), as well as vast areas of ionised gas. 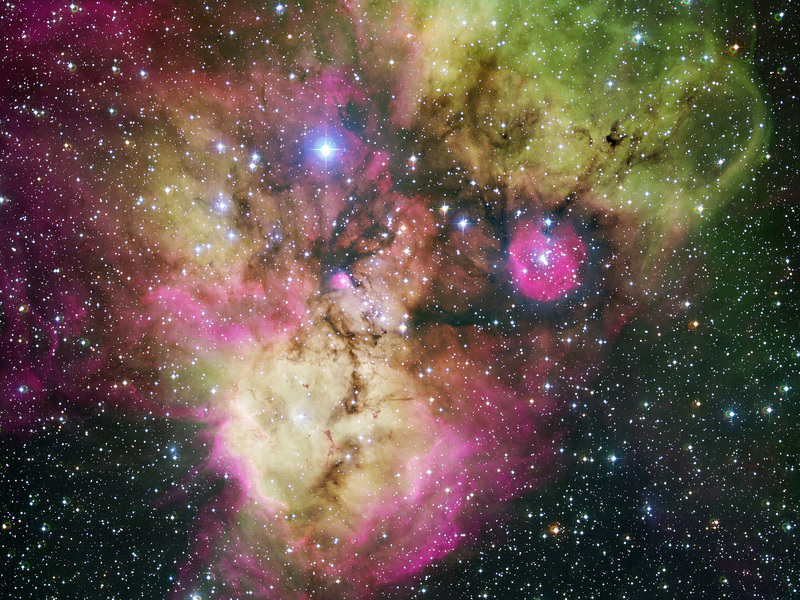 The bright star at the centre of the largest pink region on the bottom of the image is HD 64315, a massive young star that is helping shaping the structure of the whole nebular region. Position (Dec): -26° 26' 29.80"